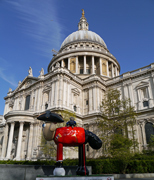 Shaun in the City is a public art event organised by Wallace & Gromit’s Children’s Foundation to raise funds for The Grand Appeal and Wallace & Gromit’s Children’s Charity. 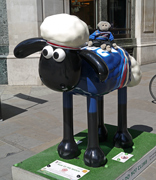 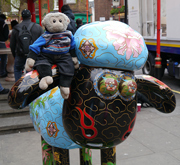 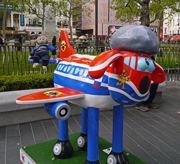 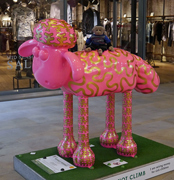 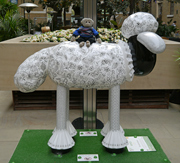 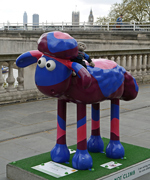 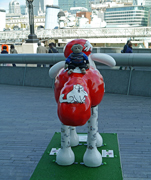 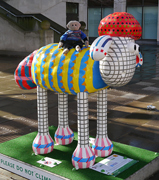 There were 50 Shaun the Sheep sculptures around London, from 28th March to 31st May 2015. 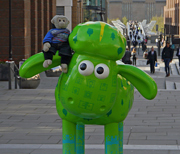 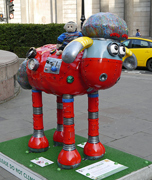 There will be another 70 Shauns around Bristol from 6th July to 31st August 2015. 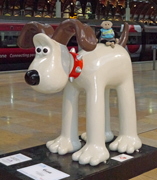 This event is related to the Gromits Unleashed in Bristol during 2013.